Another example where adults are not allowed to enter a treehouse is this one! 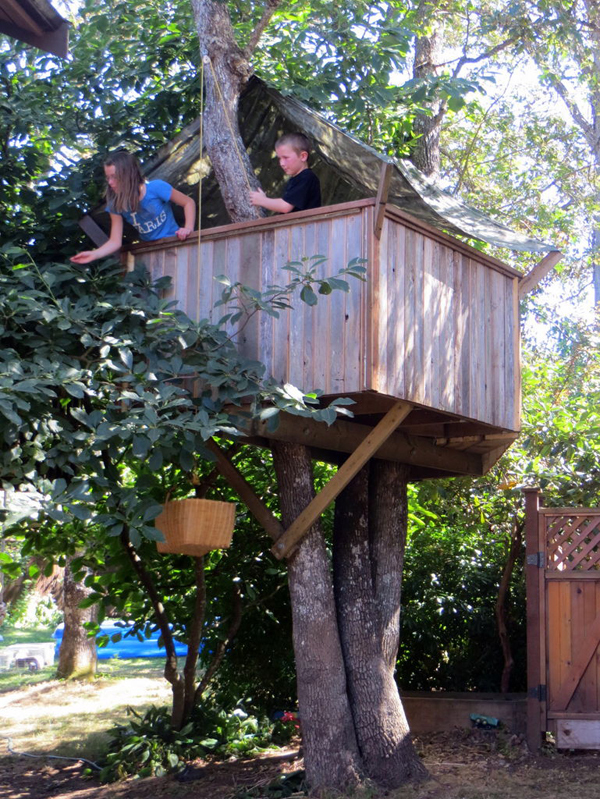 Look what strategy the kids found not to allow stranger to enjoy their treehouse. No stairs, no ladder, no ropes, just a basket to lift what they need. A simple structure that plays with forces and weight, permit to the platform to be stable on two aligned trees.